This is a civil enforcement sale under the Civil Enforcement Act in Alberta. The subject property is 17.45 acres of land zoned OS-Open Space District, previously known as Ross Creek Golf Course, now vacant land. A portion of this site was previously flooded. Since 2014 a reported $600,000 was spent on flood mitigation. 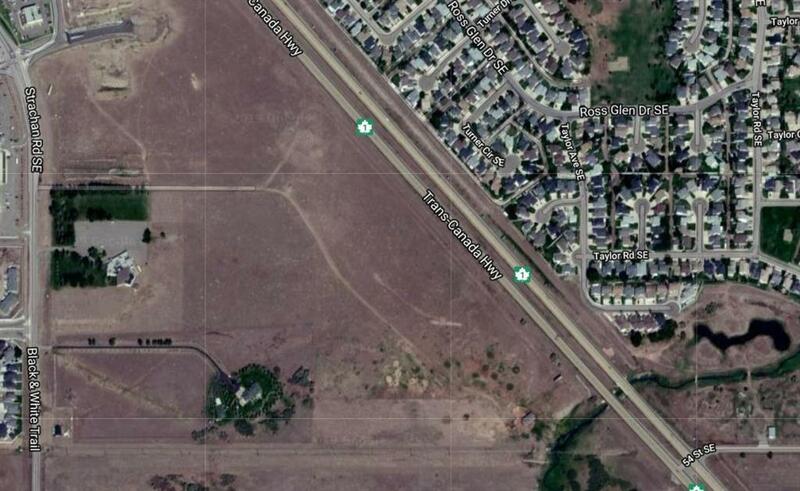 The north portion of the site backs onto a residential community, and the south portion of the site backs onto a small service roadway at 54 Street S.E. off Highway #1 (The Trans Canada Highway).